–Dave Copeland and I got married. -I opened up the Whole Foods Market in Arlington, MA. -We went on our honeymoon to Italy for 2 weeks (and ate our faces off). -We bought a house, which MEANS we have a brand new kitchen for me to cook in! In the foreground of today’s picture, you can see the table that my family had dinner on every night when my brother and I were growing up. The fact that it now lives in my house, and that I now get to serve dinner on it, is very special. Thanks to my mom and dad for keeping it in such good condition, and for giving it to us. 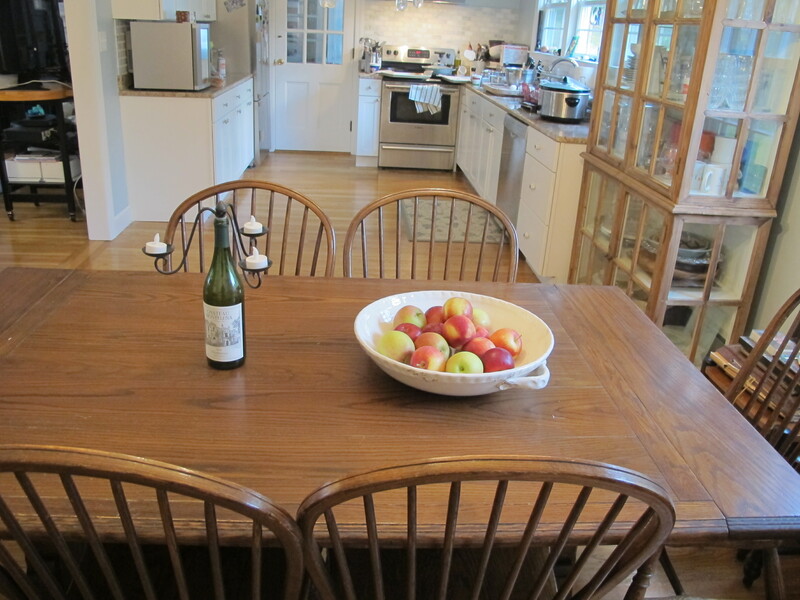 Here’s to many wonderful meals on our old table in our new kitchen!